When Ho Young Kang of Clarksville hit and killed two 18-year-old in October of 2016 his blood alcohol content was nearly twice the legal limit and now the families of those two teenagers who were killed are hoping drivers remember that every time they pass a newly erected memorial sign in Clarksville. Samia Lucas and Joshua Lopez were on their way home back in 2016 when they were hit by Ho Young Kang at the intersection of 101st Airborne and Trenton Road in Clarksville. Both of their families have spent the two years since their deaths working to get a special memorial sign made by TDOT installed at the intersection. “When they see it, I want people to think about the dangers of drunk driving, think about Samia and Josh, the lives that were gone, just think twice before you drink and drive,” Samia’s mom Sherita Bussey says. Josh had just enlisted in the Navy, while Samia had just started her first year at Austin Peay State University. Ho Young Kang plead guilty for his role in the crash and is spending 10 years in prison. Until recently, TDOT would typically remove crosses or memorials put up on state roads in memory of victims but now because of a state law passed a few years ago, they are working in conjuction with M.A.D.D to have more signs put up across the state. The law, known as the “Tyler Head Law” is named after Tyler Head, a young Austin Peay student who was also killed by an impaired driver. 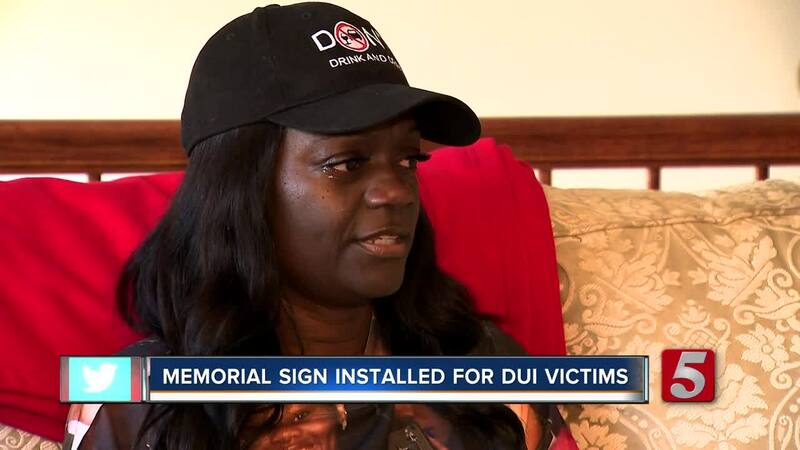 The law allows immediate families of DUI victims to apply to TDOT to have memorial signs erected at crash sites where their loved ones have been killed. Sherita Bussey now thinks about her daughter every time she drives by.